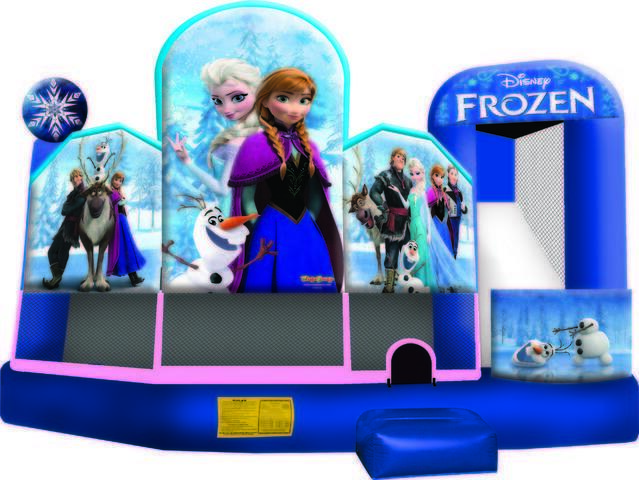 The Disney Frozen 5-in-1 combo is the ultimate in inflatable jumpers! The large interior jumping area offers a basketball hoop and both log and pop-up obstacles. This Disney Frozen Combo has a climb feature and a convenient exit slide for hours of active fun! Parents and spectators are offered a clear view with the 360-degree mesh sides of this unit and is sure to make any event a great success!